These housing design breakthroughs could be in all new homes in a few years. 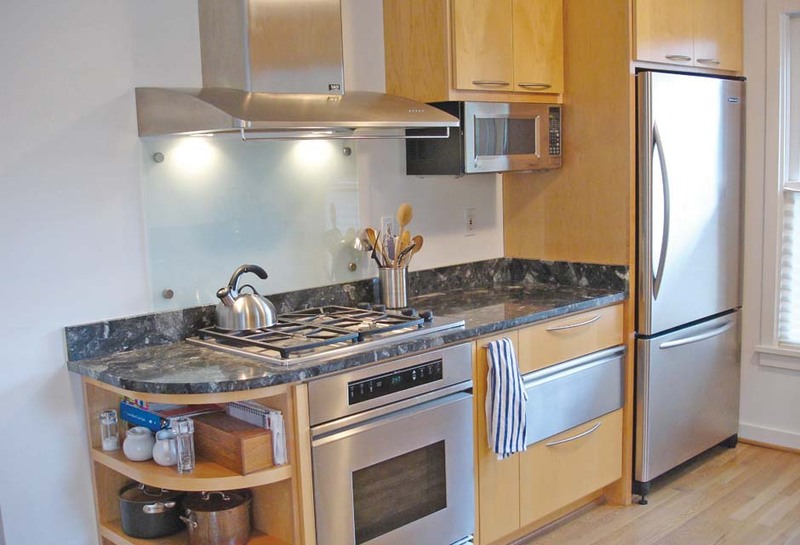 Kitchens are where some of a home’s most harmful pollutants originate. Kitchen range hoods can mitigate the impact of these pollutants, but they can also be ineffective at their capture. They are often not used because of noise or because occupants are unaware of when ventilation is needed. With funding from the U.S. Department of Energy, Newport Partners, in partnership with Broan-NuTone—the nation’s largest manufacturer of residential range hoods—plans to develop and validate a “smart” range hood that senses pollutants and automatically operates to remove the contaminants efficiently. The proposed smart range hood, targeted for single- and multi-family residential units, will be quiet (less than 1 sone), five times more energy efficient than today’s Energy Star models, and will capture nearly 100 percent of pollutants. Ultimately, this will improve residential indoor air quality (IAQ), extend the lives of residents, and save billions of dollars in health-related costs annually. The goal is also to create a smart range hood that is at a target price point competitive with the intermediate market for standard kitchen range hoods. The target completion date is fall of 2019, if not sooner. The Newport Partners/Broan-NuTone report may be found at http://bit.ly/2wx2xXp. 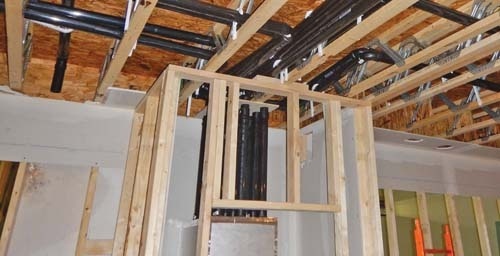 Current tools and practices require trade contractors to design air delivery systems that are often complex, difficult to install and integrate into the framing and structural components of the home, and not optimized for newer space-conditioning equipment or for the comfort needs of more energy-efficient homes. This complex process can be a burden to an already-strained construction labor pool; and it has been shown to lead to comfort problems in homes, negatively impacting the homeowner, trade contractor, manufacturer of the equipment, and builder. 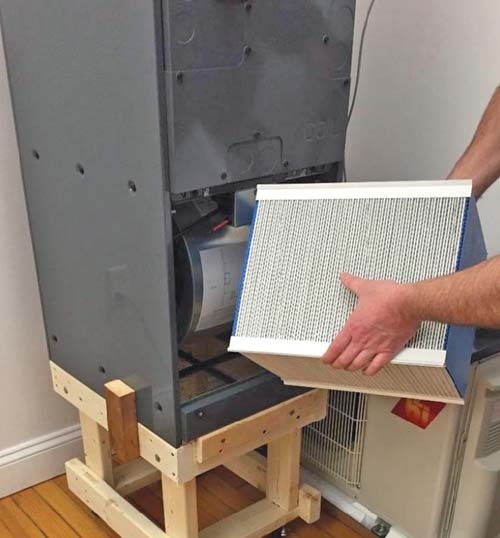 IBACOS Inc., in partnership with the Housing Innovation Alliance, is finalizing technology that promises to simplify duct system design and eliminate many sources of installation error for residential air delivery systems. Energy-efficient homes have significantly lower heating and cooling load requirements to maintain comfort. IBACOS research indicated that some amount of conditioned air should be delivered directly to each zone or room in the home to maintain thermal uniformity throughout the home when a centrally located thermostat is used. To deliver this air, IBACOS tested use of small-diameter ducts coupled with a variable-capacity heat pump. This equipment provided a more effective mixing of the conditioned air in the zone than a control system using traditionally sized ducts. But, the duct system still required careful design and installation using conventional methods—a practice that is not uniform among installers. A manufacturer that embraces this “plug and play” technology could earn a significant share of the $1.2 billion residential ductwork market. The technique is expected to have 10 percent penetration within the new construction market within 5 years, and 25 percent within 10. And as production costs decrease, market penetration will rise further. The IBACOS/HIA report can be found at http://bit.ly/2xeXivk. The concept of a “perfect wall” in housing is not new—researchers at the University of Minnesota (UMN) have been studying the idea since the late 1990s. But the design, which calls for placing the building’s insulation and water barrier on the outside instead of inside the structure’s wall cavity may finally catch on with contractors. UMN researchers compare the perfect wall’s exterior insulation to “wrapping the whole house in a blanket.” The concept has proven far more expensive than traditional insulating, holding back its acceptance by builders. But MonoPath LLC, which has been testing the method for several years, has found ways to cut down construction costs. MonoPath’s homes require only a few skilled workers and subcontractors, and have fewer home designs. There is an emphasis on interior systems—such as smaller furnaces and air conditioners—which helps with energy efficiency. And, they’re built differently: Standard houses are constructed with hundreds of relatively small wooden panels that are assembled piece by piece. MonoPath homes use large 8-by-24-foot panels that get hoisted by a crane and are nailed into place in a single day. The lower construction costs also mean a more affordable price for buyers, which should boost their popularity. 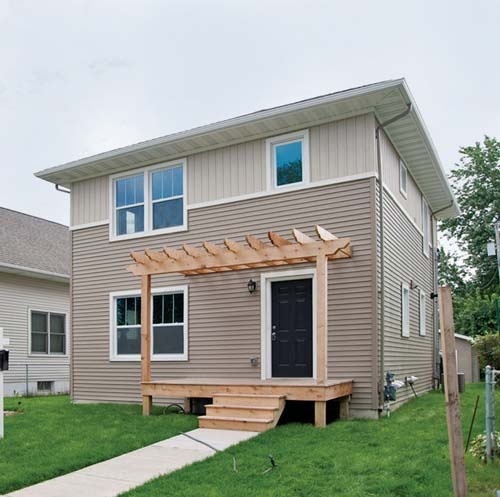 The MonoPath building system works in all climate zones, meaning the approach can be easily taken into other national affordable housing markets. The UMN/MonoPath report may be found at http://bit.ly/2hKaGp8. Balanced, heat recovery ventilation (H/ERV) is becoming a more obvious choice in very tight, energy-efficient homes. But the installation process remains very expensive—about $3,000 per home—and can be challenging to integrate effectively. Many current H/ERV installations have poor integration, inconsistent controls, questionable delivery of outdoor air, and high energy use. Steven Winters Associates Inc. has taken on the task of creating a way to enable heating, cooling, and whole building ventilation in a single-duct system. The goal is to help airtight homes achieve 40 percent to 60 percent energy savings by reducing thermal ventilation loads, without loss of indoor air quality. The Ventilation Integrated Comfort System (VICS), which will feature variable speed fans to enable low-energy operation and precise control, providing balanced, distributed ventilation with heat recovery, should also cut costs by 30 percent to 50 percent versus separate HRV/ERV systems. The VICS target market is homes with design loads of less than 10-12 kBtu/h (multiple systems for higher loads). This would include thousands of single-family homes (including those part of the DOE Zero Energy Ready Home and Passive House programs), as well as most new multi-family apartments built after 2016. With the product still under research and development, it will be some time. A fully functional prototype should be completed in spring 2018, with installation into an occupied home expected by next summer. Projected completion date is summer of 2019.